Hidden behind houses, and further concealed by a thicket of trees, you will find a treasure trove for archaeologists and historians alike. The magical place I’m referring to is the location of the hill fort, near the suburbs of Ely and Caerau. 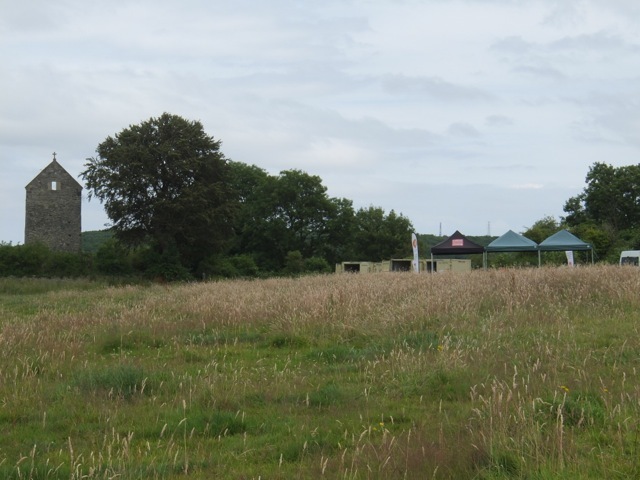 For the second year running, this site is being excavated by the CAER Heritage Project team, who are searching for evidence of its use during the Iron Age. The existence of this hill fort is hardly a secret, as the naming of nearby Hillfort Close demonstrates. Even so, very little has been known about it, and there is almost no mention in history books. As I’ve always been fascinated by archaeology, I decided to make a visit, to see with my own eyes, what discoveries they are making. In this article, I’ll be telling you how I got on, but before I do so, I’ll also provide you with a few snippets of information on why this project is so significant within Wales. The history of Ely is often overlooked, and it would be easy to assume that this suburb sprung into existence relatively recently. The great expansion of the area started after the First World War, when many houses were built to accommodate returning heroes. Although there is evidence of a Roman Villa in the area, what makes the hill fort so fascinating, is the hint that the occupation of the area extends back even further. In fact, the hill fort at Ely and Caerau may well be to be one of Wales’s oldest settlements, and the largest of its kind. Its existence as an Iron Age hill fort would date it to approximately 600 BCE. Therefore, the newly found archaeological interest is not before time. 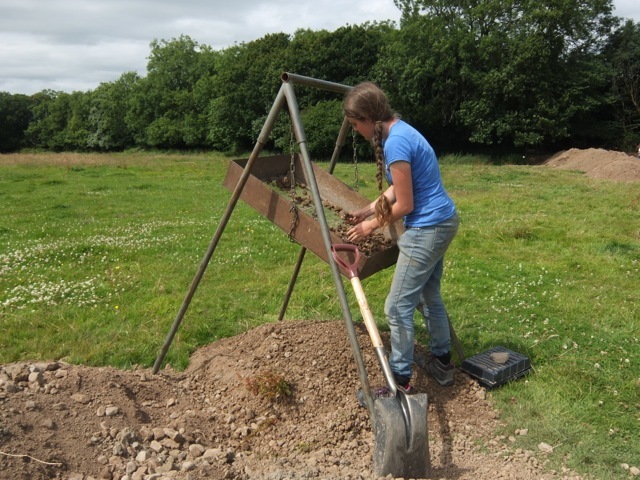 For the second summer, the Caer Heritage team have planned a dig on site. As well setting up trenches, they have had temporary exhibits at St. Fagans, and Cardiff Bay. They have also gained UK wide recognition, by winning awards for their engagement with the public. 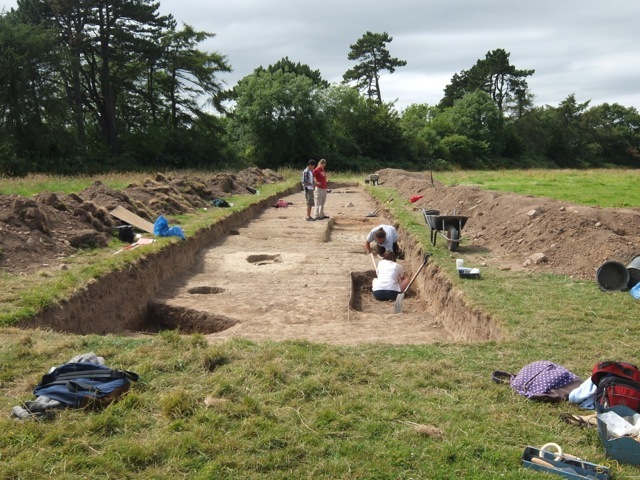 They extend an open invitation to the public to come and get involved in the dig. Last year, 1,000 volunteers got involved, and a similar number are expected this year. Visitors have included Welsh Assembly Members, such as Eluned Parrott, and it’s inspiring to see how many people have rallied behind this project. It has thrived on one of the suburb’s greatest strengths: community spirit. Local schools have been encouraged to plan trips to help with the dig, sort through the ‘finds’ and also get stuck in with making clay pots. As a result of this project, these children may well know more about the history of the area than even their parents, or grandparents. On the day of my visit, I found my way to the site fairly easily. I drove up to the fort, via a narrow uneven single-track lane, which winds through Caerau woods. I found a parking spot near to the abandoned St. Mary’s Church. 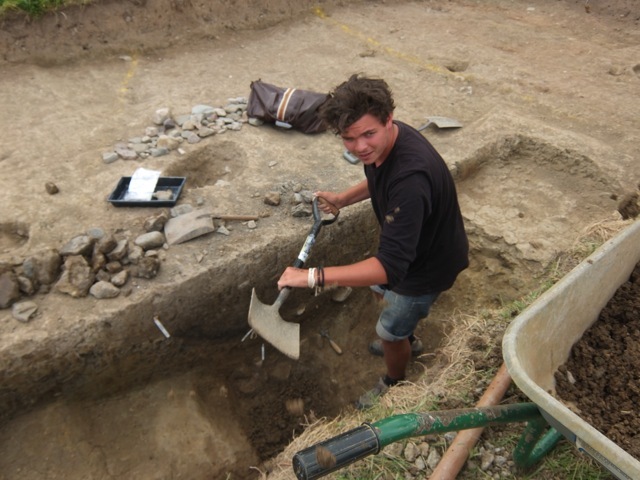 On reaching the site, I initially felt daunted about introducing myself to the dig party. I quickly realised that there was no need to be, as they were all very welcoming and friendly. As soon as I arrived, Lydia, an Archaeology student from Cardiff University, volunteered to show me around. She showed me the various trenches, and introduced me to a handful of people involved in the dig. She explained to me that, although the fort is believed to be Iron Age, dating to around 600 BCE, there is also evidence of earlier Neolithic usage, and later Roman occupation. More recently, the land has been used as pasture for animals. 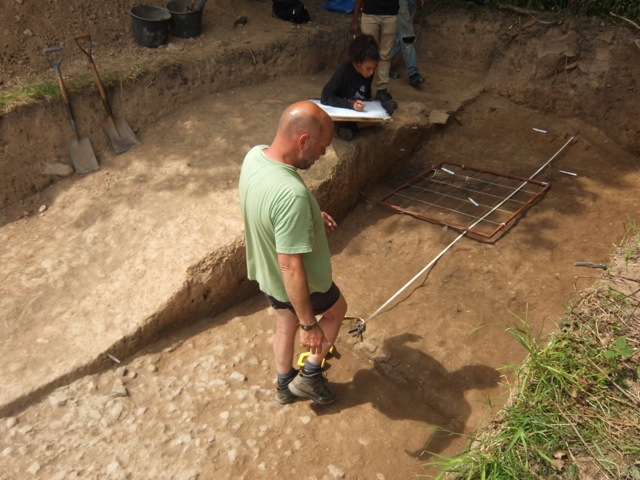 In one of the trenches, the dig members were particularly excited about the discovery of a Neolithic causewayed enclosure, marked out by a ditch. Causewayed enclosures date between 5,000 and 3,000 BCE. This one could well have functioned as a gathering place for performing rituals or burials. 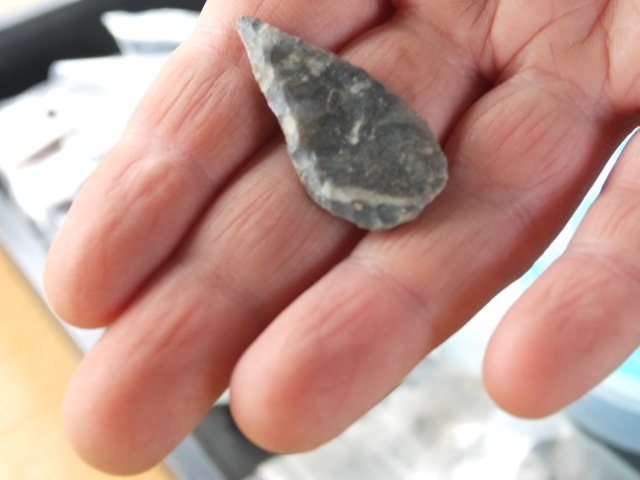 They have also uncovered Neolithic flints from this trench. 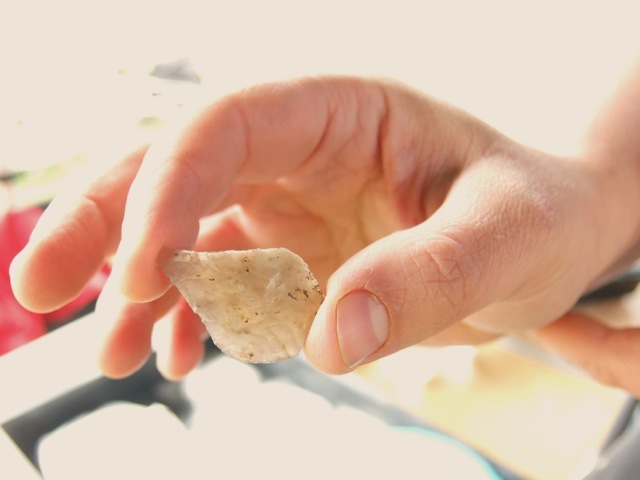 The soil in this area is heavy with clay, which allows for the preservation of flints, but isn’t so good for preserving organic material, such as bones, so they haven’t uncovered so many of these kinds of artefacts. In another trench, they were uncovering the ramparts that would have been the ditches for the walls to the fort. They uncovered various layers, relating to different eras of history. Another of the archaeologists, Nick, explained the various different layers, and how the further down you dig, the further back in history you explore. Just after I visited, they successfully uncovered one of the most exciting finds so far: a green Iron Age rampart, which was concealed beneath several other layers of history, including a Roman midden deposit. After my tour of the trenches, I joined Vicky in their tented enclosure, and she showed me some of their most recent discoveries. She showed me examples of Roman pottery, and Neolithic flints. I was particularly fascinated to see a flint tool designed to make holes in leather, perhaps an early development of the sewing needle? I told Vicky of my own early forages into the field of archaeology. 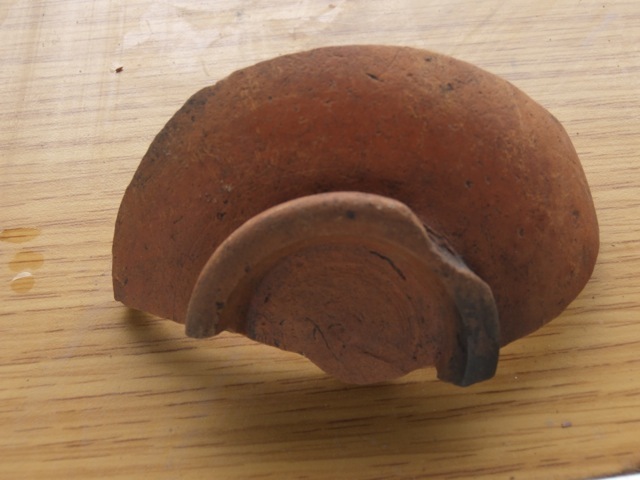 I recalled finding an old piece of very dense glass, shaped like a bowl, which was possibly the base of a large bottle. When I mentioned that it was covered in a thick crust of rainbow patterns, I could see her eyes widening with interest. Very enthusiastically, she informed me that rainbow patterns form when glass decays, and that what I had found could well be Roman glass. If true, this ties in nicely with the history of where I grew up; I lived on top of a Chiltern Hill, rumoured to have been a Roman lookout post. The project is collaboration between Cardiff University, Action for Caerau and Ely, local residents and schools. If you’d like to visit, the site is open to the public until Friday 25 July. For further information, go to: the Facebook page or the website. I’d like to thank everyone from the Cardiff University team, who showed me such a warm welcome, especially Lydia, Sarah, Liam, Nick, and Vicky. Thanks Katie! Look forward to your next instalment of the Cardiff A-Z….